so! 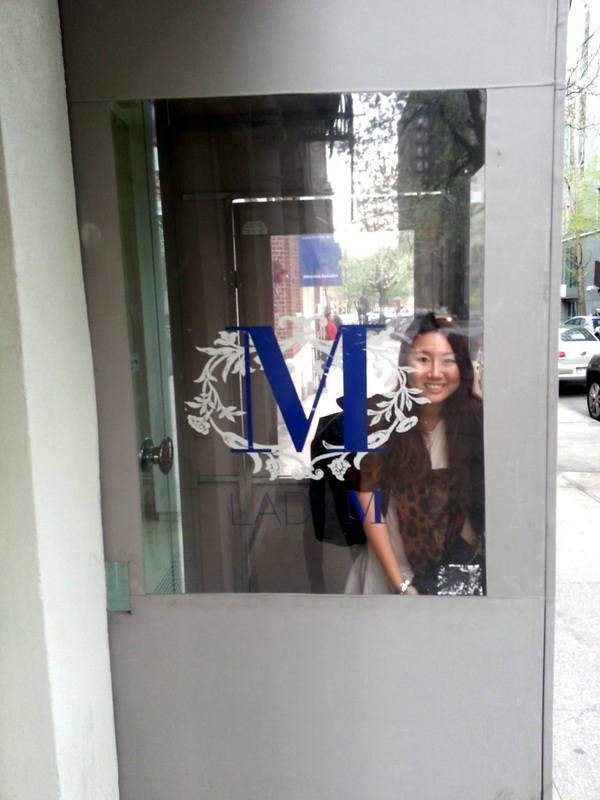 to use "reverse-psychology-effect", i decided to revisit an amazing cake boutique named lady m from my recent nyc trip that instantly energized two very tired la girls that were tackling the city with no sleep! because we already had a fancy lunch & dessert at babbo + "post lunch" bite at pomme frites right after lunch, we could only afford to put a shared slice of cake and drinks in our stomach space...but the lady m green tea mille crêpes along with water & ice tea totally energized two zombies! at a whopping $8 per slice, lady m green tea mille crêpes was A-mazing! i apparently love ostrich leathered goods! look at all the layers! i am totally craving a bite of delicious decant green tea mille crêpes at this very moment and also go on an emptier stomach to try more of their sweets next time i am in town!!! ...but for now, i will have to be satisfied by looking at the photos and reminiscing the happy memory!